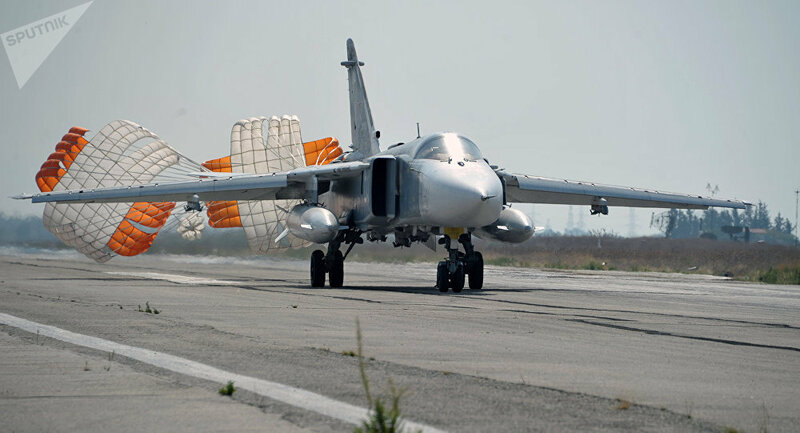 MOSCOW(Sputnik) - Russian Defense Ministry on Friday refuted the allegations of an airstrike carried out by a Russian warplane on June 7 near the village of Zardana in Syria's Idlib province. "All reports of the London-based Syrian Observatory for Human Rights and the White Helmets about the alleged strike carried out by a Russian warplane in the evening of June 7 near the settlement of Zardana in the Idlib province are untrue," the ministry's statement read. The ministry noted that over the past 24 hours the area had been a site of "violent clashes between a large detachment of the al-Nusra Front* terrorist organization and its implacable enemy, Jaysh Al-Ahrar opposition group, with the use of heavy artillery weapons." The UK-based Syrian Observatory for Human Rights, as well as the so-called Syrian Civil Defense (SCD), commonly known as the White Helmets, founded in Turkey in 2013 by former British officer James Le Mesurier, have repeatedly accused both Syrian and Russian forces of numerous assaults against civilians. The information from these organizations, however, has never been buttressed up by facts: the independent investigative bodies have never found any evidence to substantiate the claims. Thus, the spokesperson of the Russian Foreign Ministry, Maria Zakharova said that the White Helmets and the Syrian Observatory for Human Rights (SOHR) cannot be considered to be reliable sources as they have been repeatedly caught spreading fake reports on the situation in Syria.